A bright flashlight built for travel. 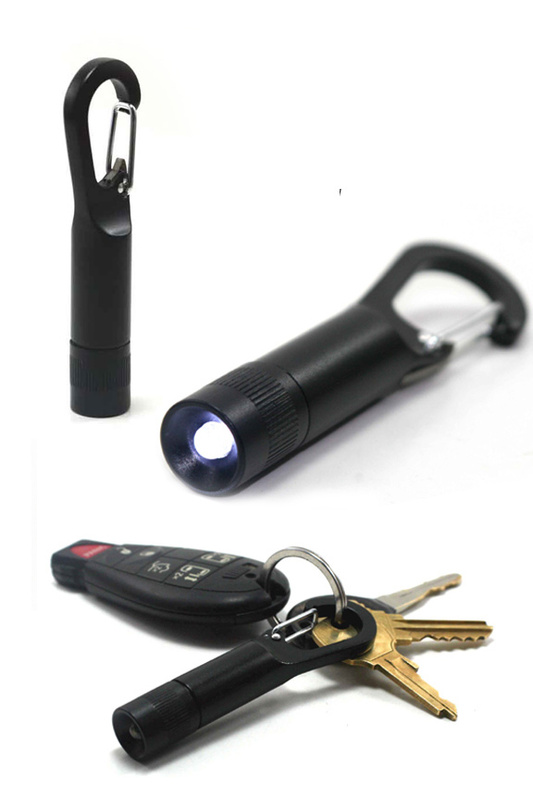 Attach to your purse, backpack, belt loop or key chain, and always have a durable tool that can illuminate any location. It's built with all metal components, and it's basically just one solid piece of aluminum. Sit on it, bury it, or toss it without fear because the superior design makes it nearly indestructible. Just twist the end to turn it on or off, and the premium LED bulb will shine to light a path, or help you unlock your door. It has an integrated clip with a wide opening and spring loaded closure. Quickly connect to key rings, zippers, or straps by flicking your thumb, and it attaches easily, and holds on strong. Use that same wide opening to crack open a cold one, because it doubles as a bottle opener for added functionality. With sleek black coloring, compact sizing, and lightweight construction, it can be carried without adding bulk, and it looks as good as it works. 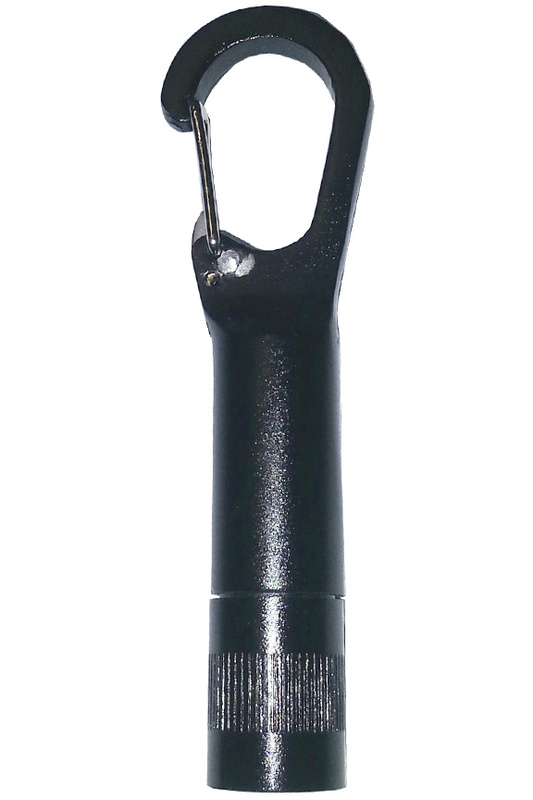 The Screwpop Light makes an ideal safety device or emergency tool, so get one to brighten your work space, guide the way, or help with unexpected situations. Batteries included. Ultra Compact. No thicker than a tube of chap stick, its small size adds to its usability. Attach anywhere and it will be hardly noticeable, but when turned on, the bright light gets the job done. Super Tough. An all metal exterior, and a design that's as solid as possible, ensures this guy will never bend, break or fail when you need it. Extra Bright. A single LED bulb produces a surprising amount of light. The top quality bulb is as powerful as they come. Long Lasting. Get up to 100,000 hours of use before the bulb goes dim, and never worry about any other part breaking or wearing out with use. Most people will probably lose it before it ever stops working. Multiple Uses. It provides incredible utility if only used as a light, but the strong clip also doubles as a bottle opener to make it even more valuable. Easily Attached. The large, carabiner style clip makes it easy to connect. Place on a key ring, attach to a zipper, clip onto to a belt loop and more. Most people probably know how to use a flashlight, but this mini version does a bit more than just shine light where you point it. Read the tips and steps below to operate and use with the best results possible. On / Off - The power switch is located toward the end with the bulb. The tip has added texture to make it easy to turn. Twist to the left to turn off, or twist to the right to turn on. When all the way tight, the batteries will contact the switch to illuminate the bulb. Clip - Easily connect almost anywhere. The spring loaded clip defaults to the closed position to maintain a secure grip where you place it. Use your thumb to press in and open the clip. Slip over purse straps, belt loops or key rings and it will spring closed to stay in place. Batteries - It comes with a set pre-installed, but if they run low, replacing them is easy. Simply twist off the end like you are powering down, but keep going until it comes all the way off. Four little batteries will be inside a plastic shell. Replace, and then put back together. Basic Operation - Use like any light to brighten areas and make them more visible. 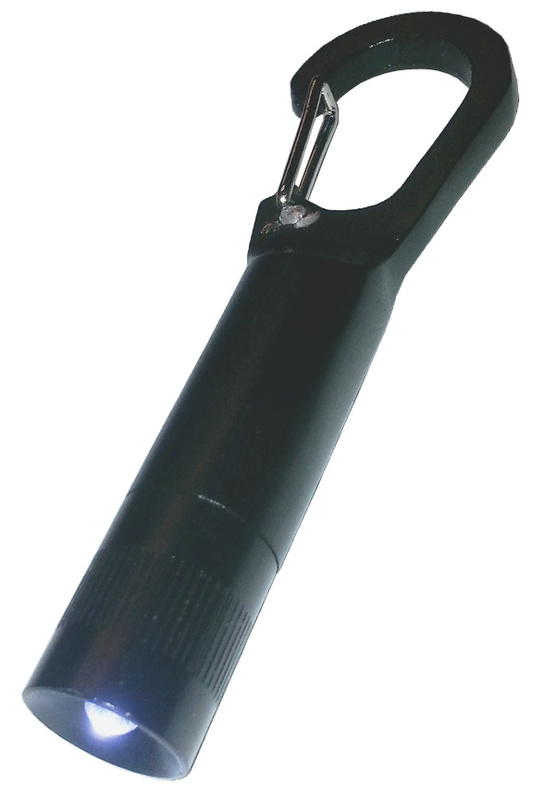 Attach to an anchor, or hold with your mouth to provide hands-free, directional light when working with two hands. 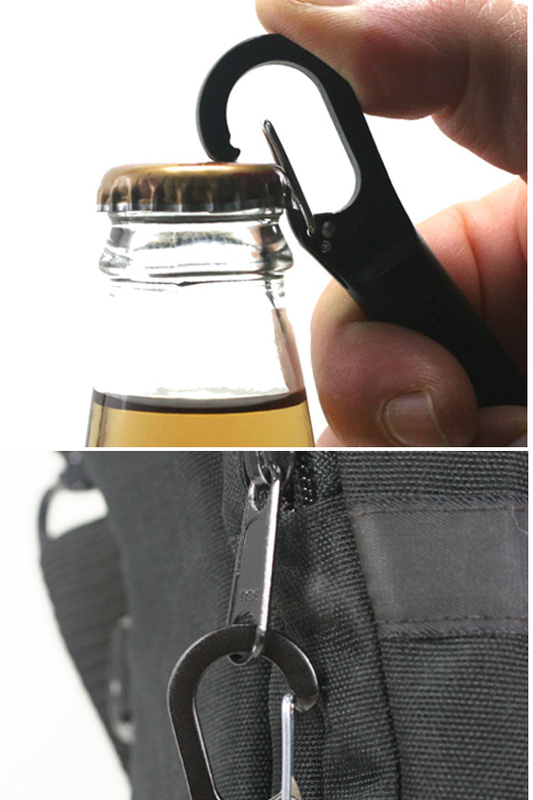 Bottle Opener - Use the opening in the clip to quickly pop open bottle tops. Align the little metal point under the cap, and then rock the top forward until the black portion of the clip is resting on the top of your bottle. Keep lifting upward to open. Don't settle for a cheaper version that will just fail or fall apart over time. This pocket flashlight can actually hold up to the torture when crammed into your jeans, or buried in your purse. It has a design that will resist breaking or warping, and the electronics are top notch to prevent the frustration caused when other products stop working randomly. Increase safety when walking to your car at night, add a useful tool to your key chain, or bring a compact and reliable light on your next camping or backpacking trip. It's the perfect gift for anyone without one, and an ideal addition to any vehicle, tool bag, glove box or pocket. Bright and durable, this light is the perfect pocket companion. Use daily to illuminate your work surface, or employ occasionally to see your way in the dark. Made from all metal, it's rugged enough for backpacks and purses without worry of damage. Order Yours Today!